The fact that Hastings was able to knock him down so easily. .. Overall a good game. We started a little slow but that was to be expected after such a big game last weekend. I think many of those turnovers will not happen once the freshman hit the weight room and pack on some muscle. Has Malik Willis regressed or did he just have one good Spring performance a year and a half ago? His play seems very erratic to me now. Not good things would be sloppy first quarter, ball security, kick return for TD, and Willis looking to have regressed so much. Some one needs to sit him down for a long talk. He has got to slow down and not try to make every play himself. Right now he is a liability and just can’t have that at QB. I do like that the coaches choose to kick short for must of the game so they could work in kick coverage. Hopefully Carlson can put most through the back of the end zone. Worm, Schwartz, and several TFR defenders were very encouraging. Check. Several frustrating mistakes (mental errors) Check. OL looked better. It WAS Alabama St.
Our DL is like 4 deep! They were all in the ALSt. backfield all night! Check. No injuries that I’m aware of. Driscoll, Horton, D Williams all left game with I juries. 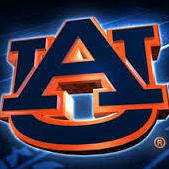 It was a good day to be an Auburn Tiger!!! Check. A few extra sprints should clean up those fumbles we had. Willis is definitely trying to do too much on his own and I’m a huge Cord fan so glad to see him showing out. The receivers are a bright spot just hope the play calling allows them to really excel! Got a good feeling about next weekend!! Gus knows he needs this win to redeem himself 1/3 of the way. P.S. No surprise but I love Shivers!! And Boobie if he can just get a little more experience he’s gonna be a monster. Sprints? We used to have to run through 4 or 5 of our hardest hitters and not fumble...not an enjoyable drill. Sprints. Lol! No wonder we keep fumbling if that's the case. Mostly agressive rehab by the players IYAM. Having the best knee surgeon in the country on medical staff helps a bit too. 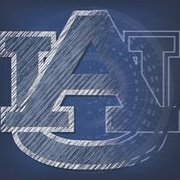 "A shooting across the street from Auburn University's campus early Sunday killed one person and wounded four others, three of them teens, in an incident that does not appear random, police in the southeast Alabama city said. The shooting happened hours after students had celebrated a win over Alabama State's football team Saturday evening..."
I really think it would be best if Cord could be the man next year and Bo could redshirt. I was in the Willis corner before last night but what I saw between them wasn't even close. Of course that would mean Gatewood would be backup and Bo could play in 4 games. 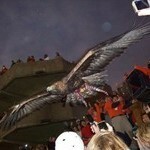 I was having off and on issues picking up the Auburn Network broadcast last night. Did I miss Gatewood playing? QB's were Stidham, Willis, Cord and Adams. Is that correct? I was amazed they played. Gobsmacked even. The new red shirt rule probably has a lot to do with that. 1. Schwartz is the deep/sweep man and man is he electric. Hill had a great run just tried too hard. 2.Need to see Cord throw it some more but I think he’s our next best option after Stid, or Joey. 3. We are spoiled at running back. They’re still developing but Kam, Boobee, Shiv, Asa, Malik M, and Joiner are all studs in their own ways. 4. Kind of disappointing only 2 receivers caught passes. 5. Britt, Tutt, Peters, Sherwood, Smoke, and a lot of other defensive frosh looked good. I wonder if that was a strategy move for the LSU game. Might be, it's hard to plan when all we did was vanilla run plays. I got busy and was just sporadically watching after the punt block but wanted to ask how Truesdell and Jackson looked on the DL? 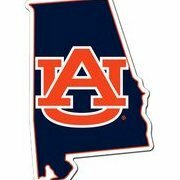 Yeah, the jury is still out bc Gus won't let them pass the damn ball downfield. Nevertheless, Malik has definitely regressed, and Cord has the wheels pointed in the right direction. Thanks. I truly feel he is our next captain. But I won’t mind if Nix beats him out. This is terrible! Any new news? What are a 16 and 17 year old doing out at 2:30 am?